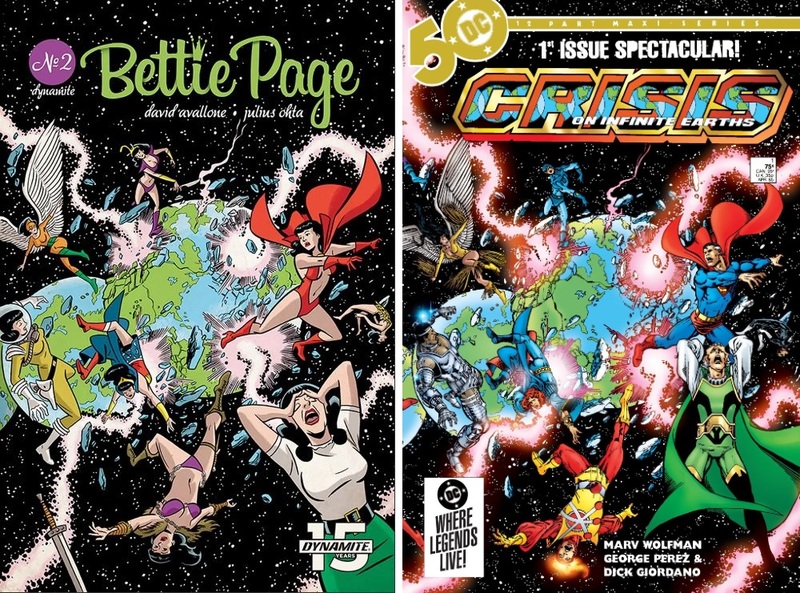 Looking through the Dynamite solicitations for May, I couldn’t help but notice one of the variants for BETTIE PAGE: UNBOUND #2 which was clearly a homage to the cover of #1 of CRISIS ON INFINITE EARTHS. 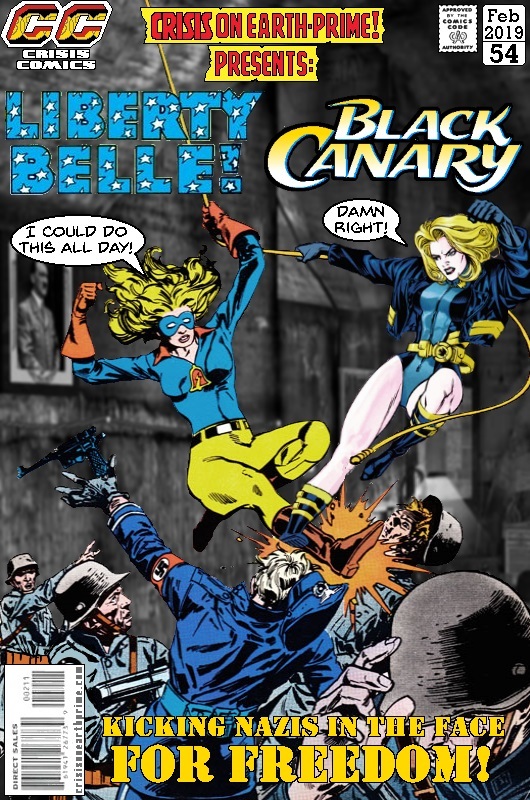 There are plenty of homages to #7’s death of Supergirl cover (hell, I’ve compiled a page full of them) but it’s not often you see someone doing one of the other covers. I liked the Rose Wilson Ravager in TEEN TITANS; she was feisty enough to face down any of the team or the villains but interesting enough that she wasn’t just a one not character. 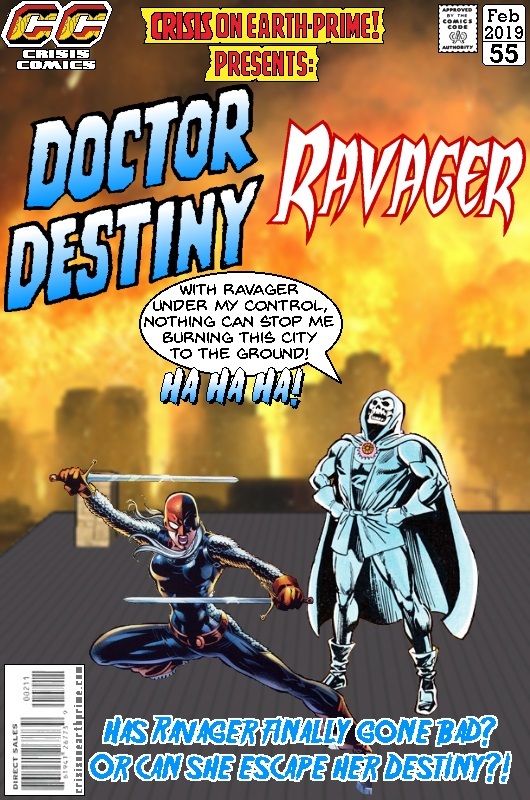 Shame she appears to be under the control of Dr Destiny, though . . . In this penultimate issue, the truth behind “Rebirth” is revealed as Batman searches for the one person he believes can help him save the world . . . Rorschach! 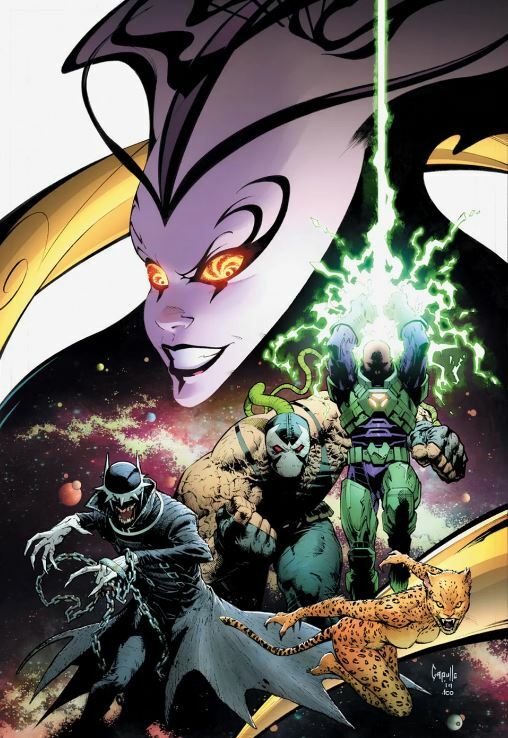 I think I said in one of the comments to the posts about DCEASED, the whole “Rebirth” thing – bringing hope back to the DCU, moving away from the blood, guts and death – seems to have disappeared in the wake of stories like HEROES IN CRISIS. 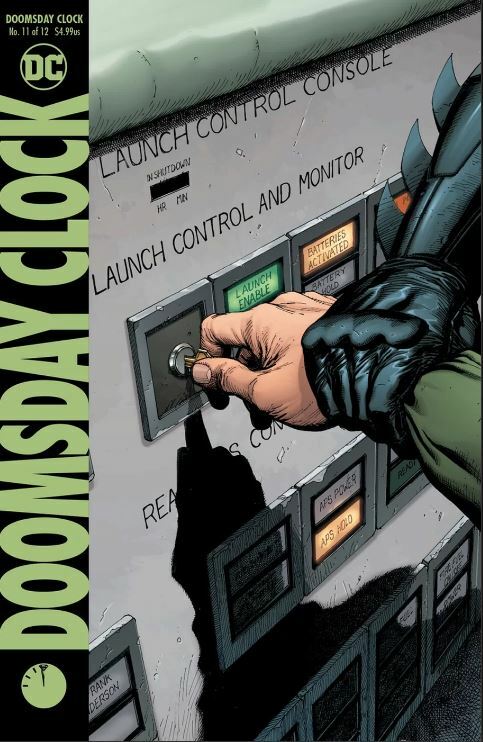 Geoff Johns’ original plans were to have the rest of the DCU tie into the end of DOOMSDAY CLOCK but now I wonder if this maxi-series will just end and the main DCU will ignore it as we march towards something else in the solicitations, YEAR OF THE VILLAIN. Doesn’t that just sound like re-hashing FOREVER EVIL? That last line as well – “And our heroes will fail us” That’s what I disliked about FOREVER EVIL, the the good guys were sidelined and the DCU was saved by bad guys going up against even badder guys. Again, what happened to Rebirth’s promise of hope in the DCU?